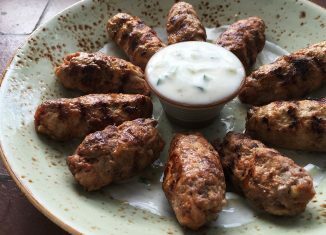 Ćevap is a grilled dish of minced meat, a type of skinless sausage, found traditionally in the countries of southeastern Europe (the Balkans). 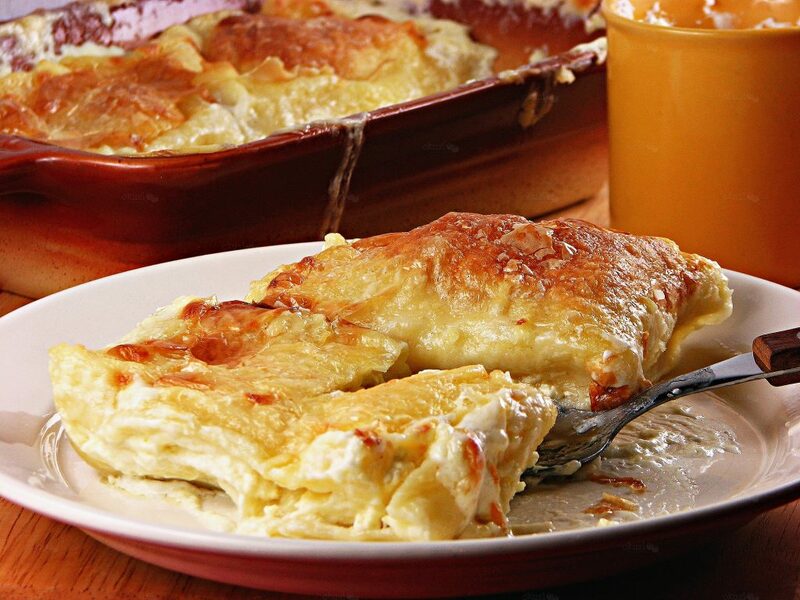 Zagorski Štrukli is a popular traditional Croatian dish served in households across Hrvatsko Zagorje and Zagreb regions in the north of the country, composed of dough and various types of filling which can be either cooked or baked. 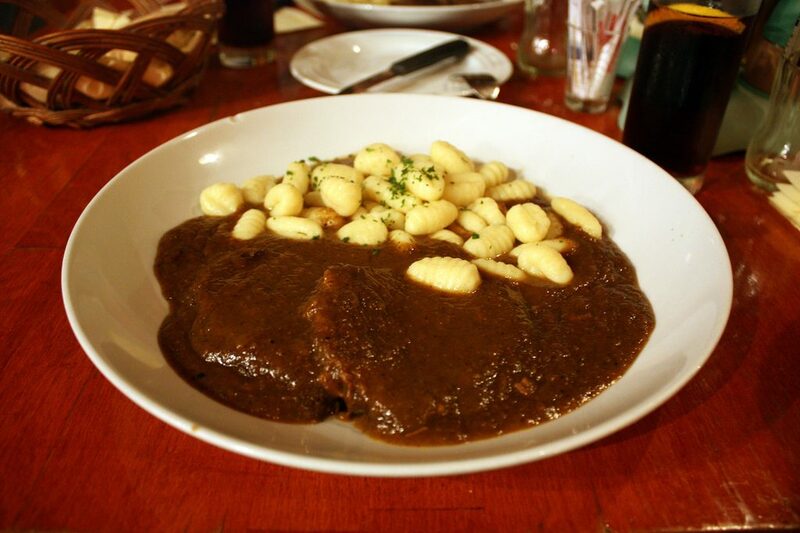 It is closely related to štruklji, a traditional Slovene dish. 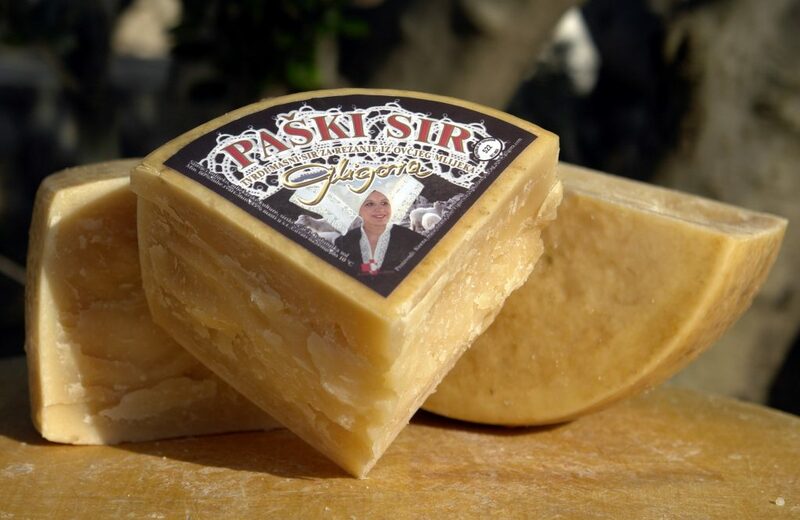 Pag cheese or Pag Island cheese is a Croatian variety of hard, distinctively flavored sheep milk cheese originating from the Adriatic island of Pag. It is generally regarded as the most famous of all artisan cheeses made in the country and can be found in many markets outside Croatia. 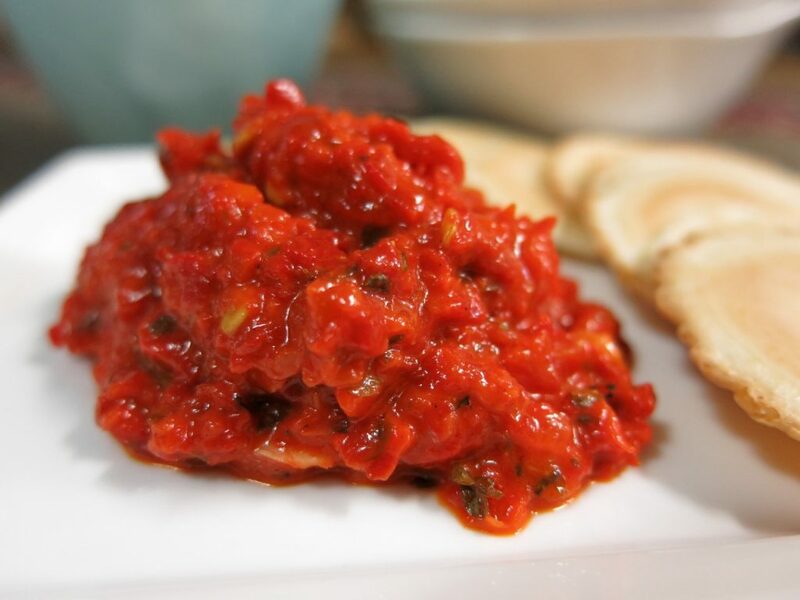 Ajvar is a pepper-based condiment made principally from red bell peppers. 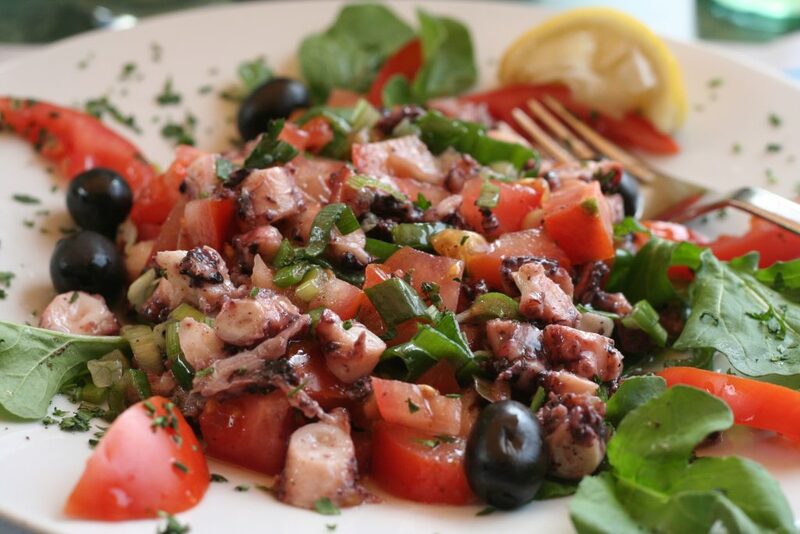 It may also contain garlic, eggplant and chili peppers. 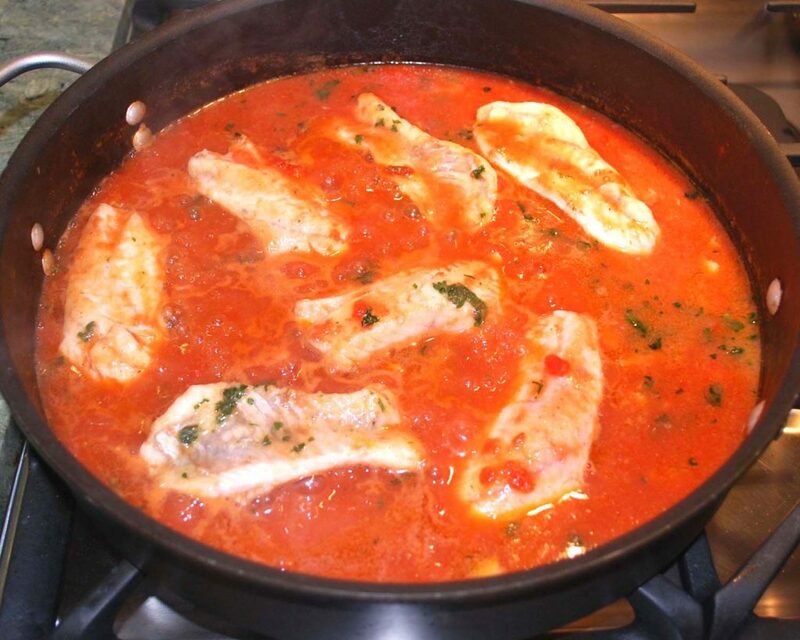 Fiš paprikaš is a traditional spicy fish stew. 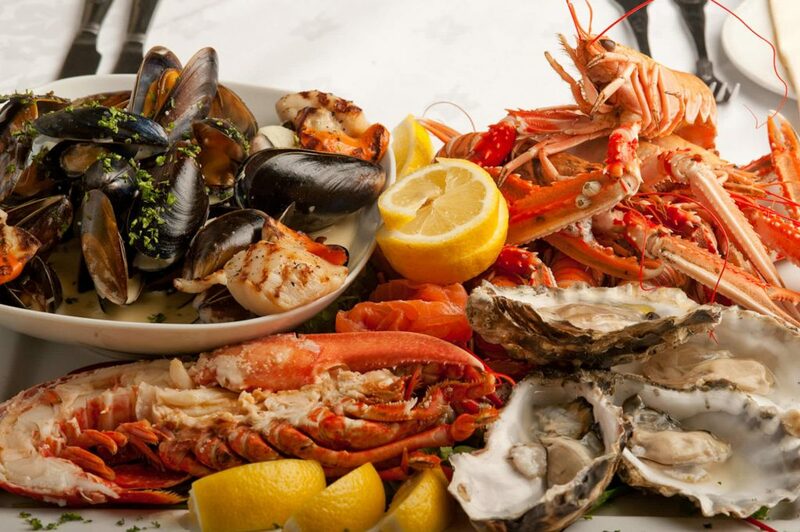 It is prepared with at least two fish species and served with homemade, wide noodles. Rakia or Rakija is the collective term for fruit brandy popular in Eastern Europe. 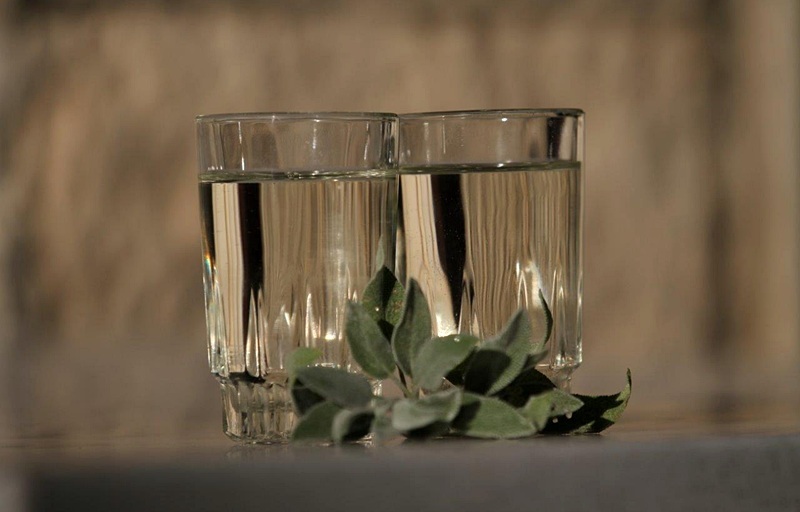 The alcohol content of rakia is normally 40% ABV, but home-produced rakia can be stronger (typically 50% to 80%, even going as high as 90% at times). 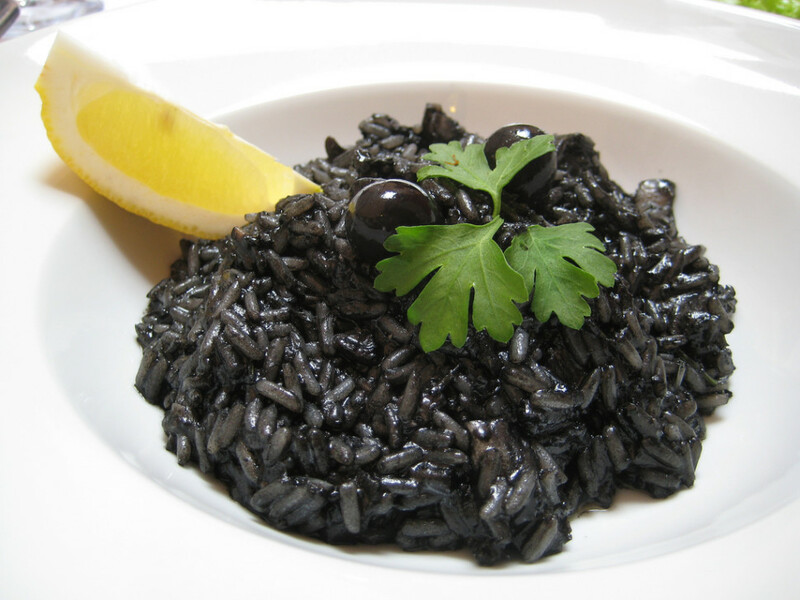 This Croatian risotto gets its deep color from the addition of cuttlefish or squid ink. 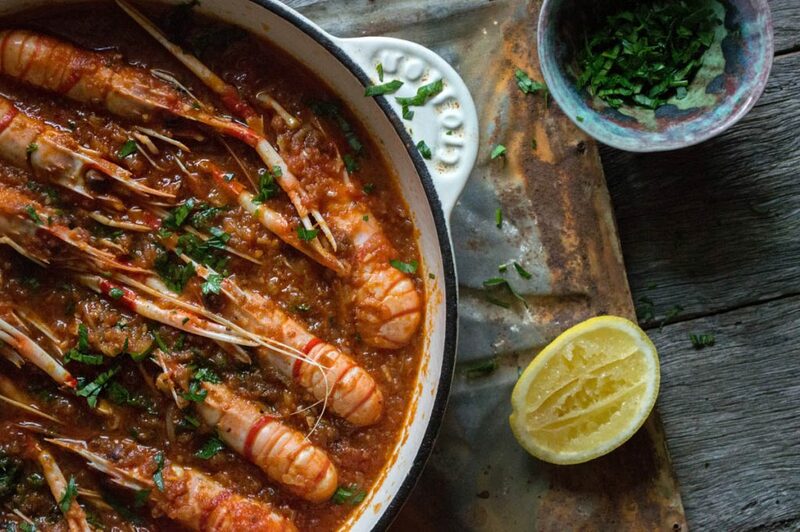 Shrimps in tomato sauce, garlic and white wine. 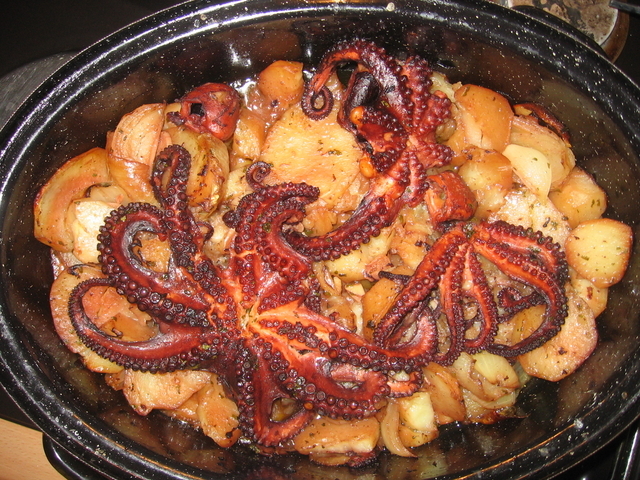 Brudet, brodet or brodeto is a fish stew made in Croatian. 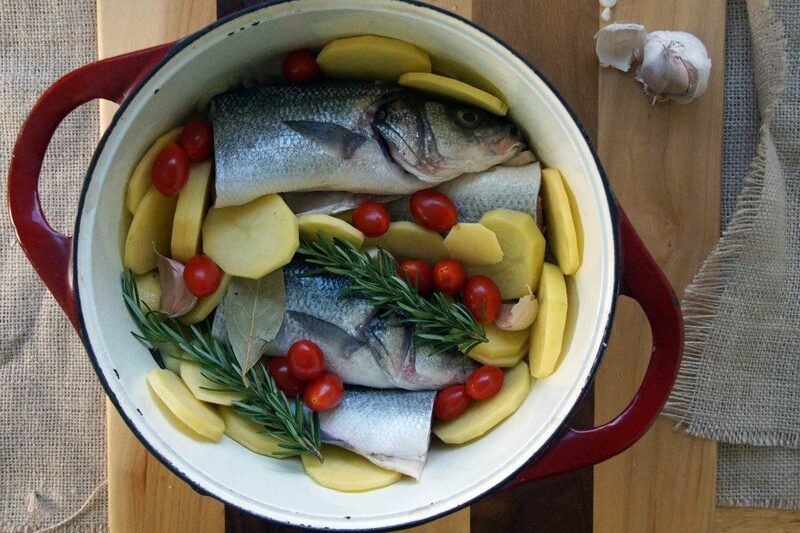 It consists of several types of fish, and the most important aspect of brudet is its simplicity of preparation and the fact that it is always prepared in a single pot. 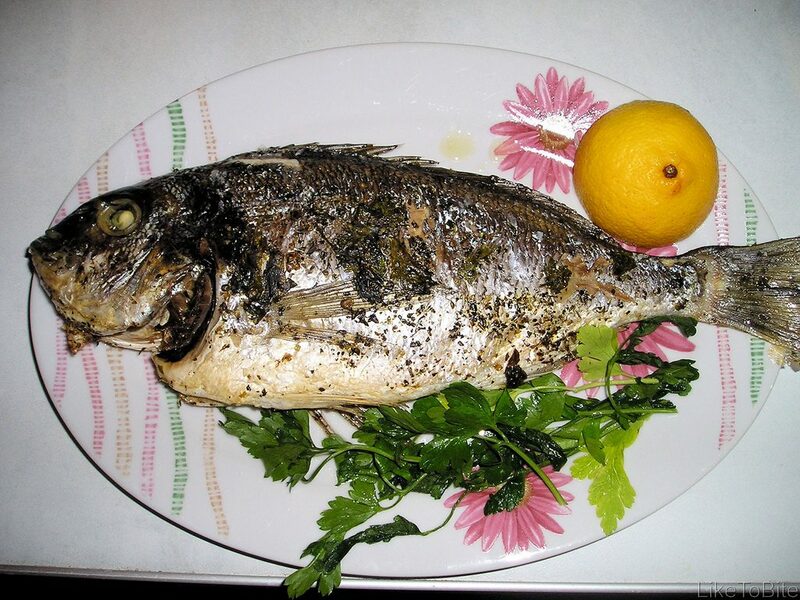 It is served with polenta which soaks up the fish broth. 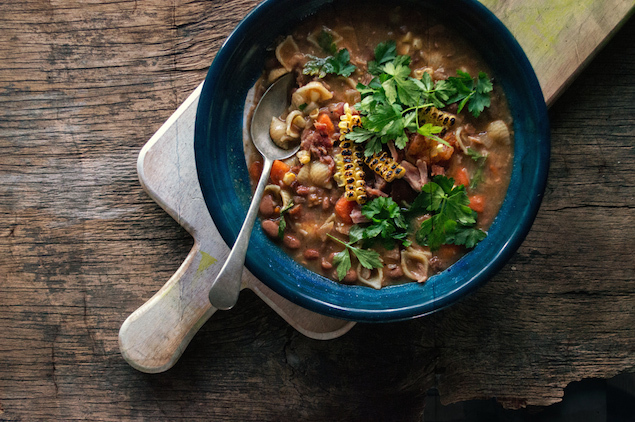 Maneštra is a vegetable stew from Istria and made with spring corn, which is popular in the whole of northern Adriatic. It is served as a first course soup if the main ingredients are vegetables, but it can be served as a main course if it is made of “stronger ingredients” such as meat. 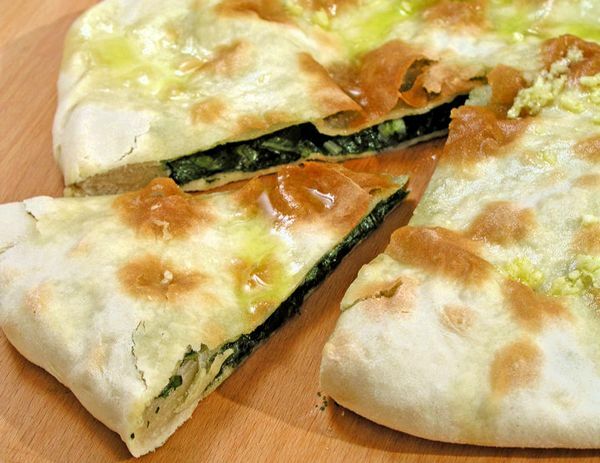 Soparnik is a usually savoury pie with a filling of Swiss chard. 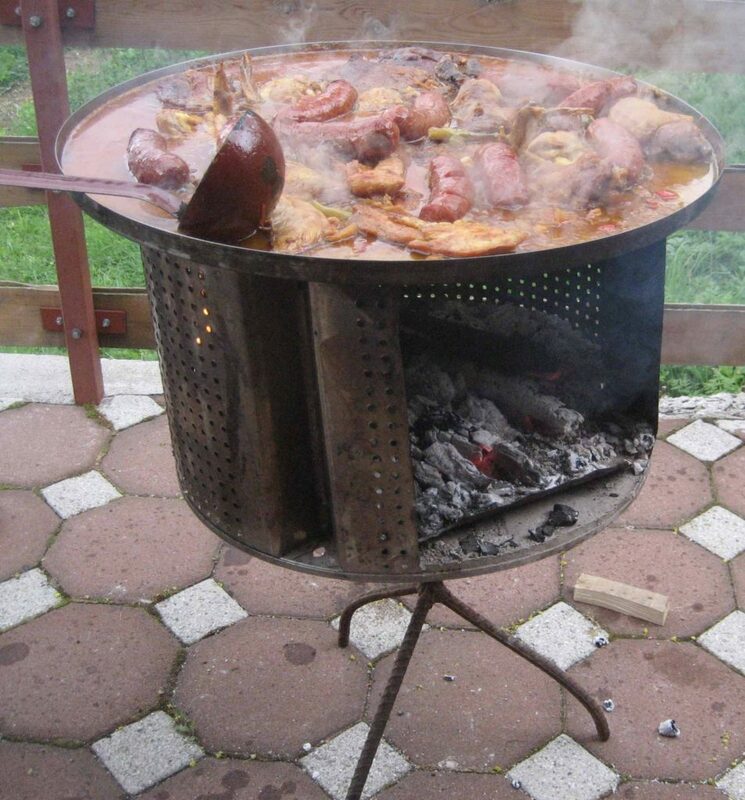 Other names are soparnjak, zeljanik or uljenjak. 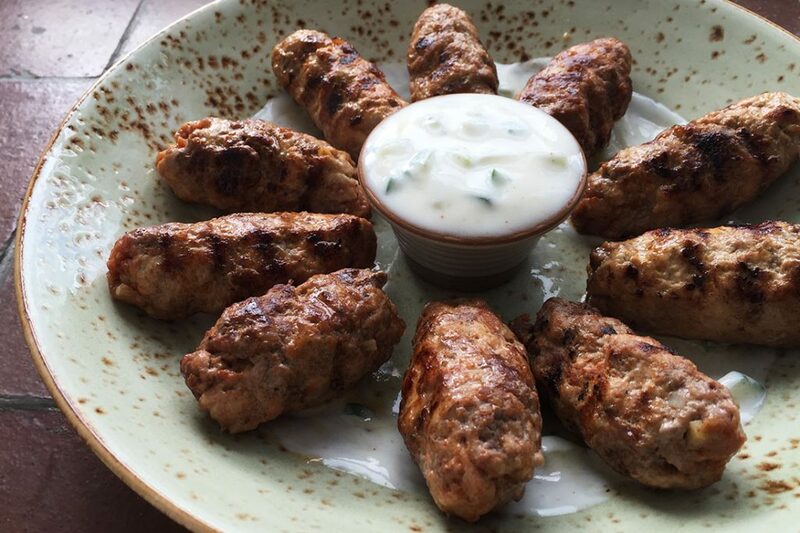 It is the most famous speciality of the dalmatian region Poljica between Split and Omiš. 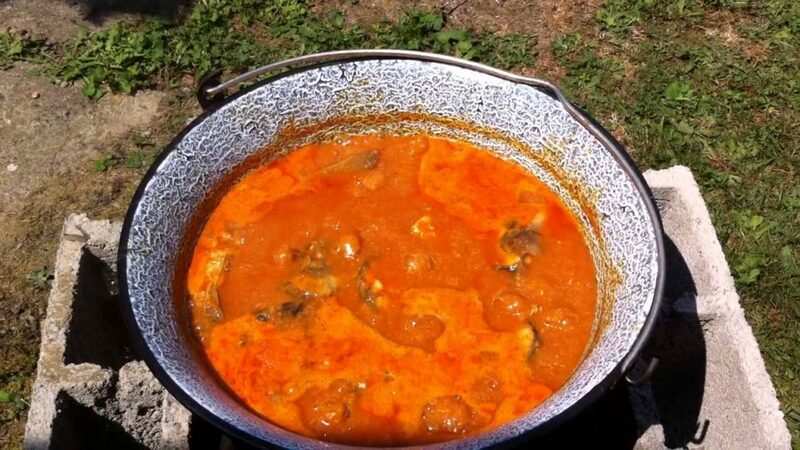 Gregada is the simplest, and some say the oldest fishing dish that in the beginning was only potatoes, onions and small white fish that can not be used for grill.. and believe me it is so finger licking good. 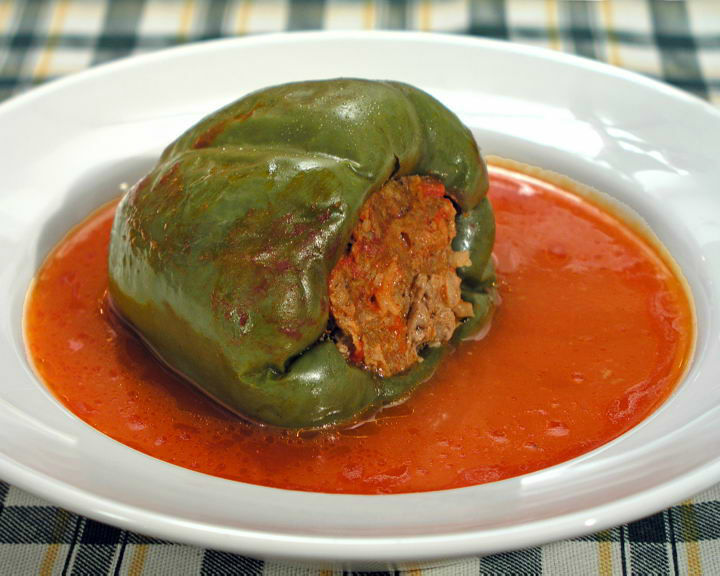 Punjena paprika is a dish made of peppers, stuffed with a mix of meat and rice in tomato sauce, the ingredients consisting of green or red capsicums, eggs, spices, salt, tomato, minced meat and rice. 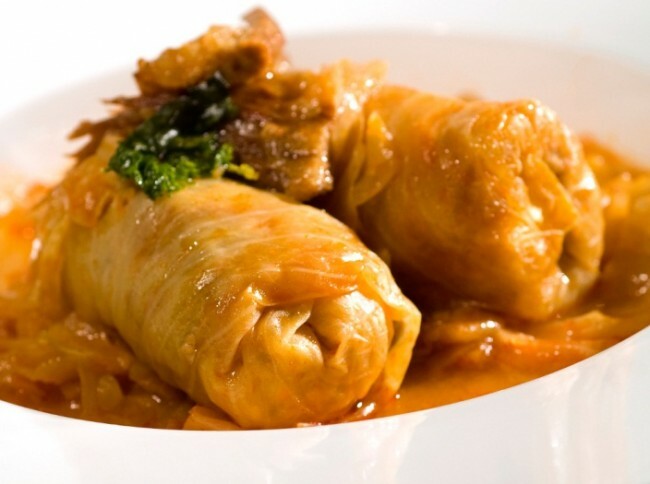 Sarma is a dish of cabbage leaves rolled around a filling usually based on minced meat. 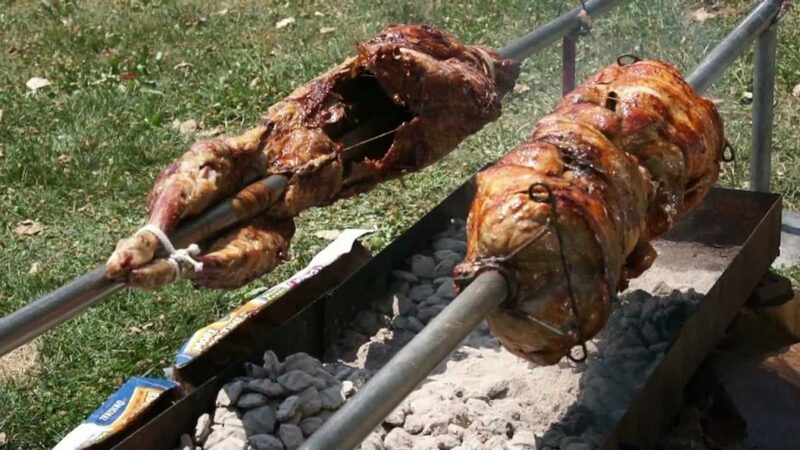 “Cobanac” is kind of goulash sheep and cow-boy’s used to eat while watching their herds. 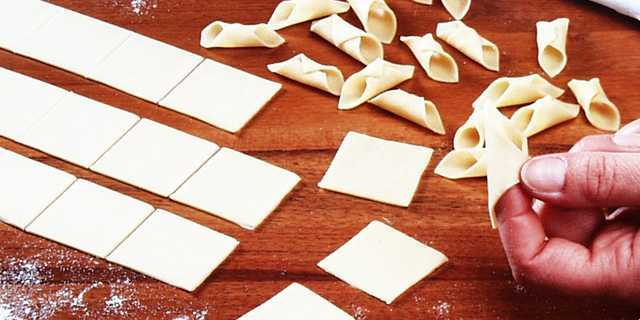 You eat it with a spoon, so the pieces inside has to be bite-size. 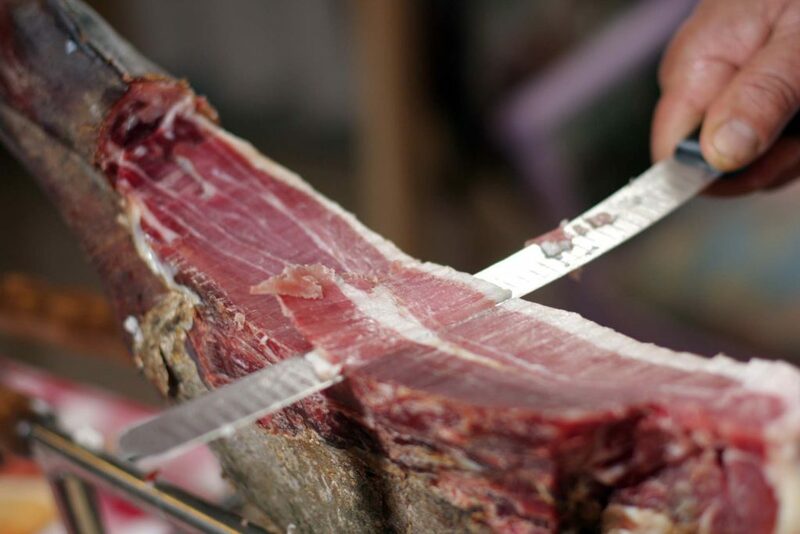 More a way of preparing meat than a defined dish, found in continental Croatia. Usually prepared in the open, for hours, in a special kind of a standing cauldron, often found at fairs and various festivities. 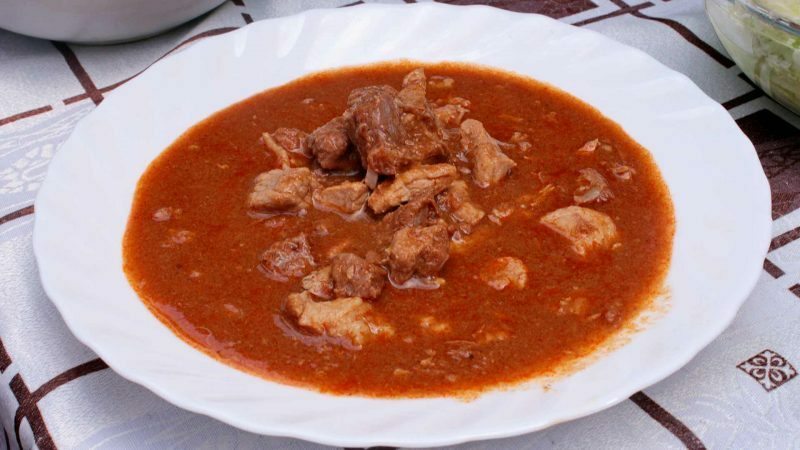 Basically, it’s a not too spicy meat stew slowly cooked in wine, with the addition of onions, tomato and paprika. 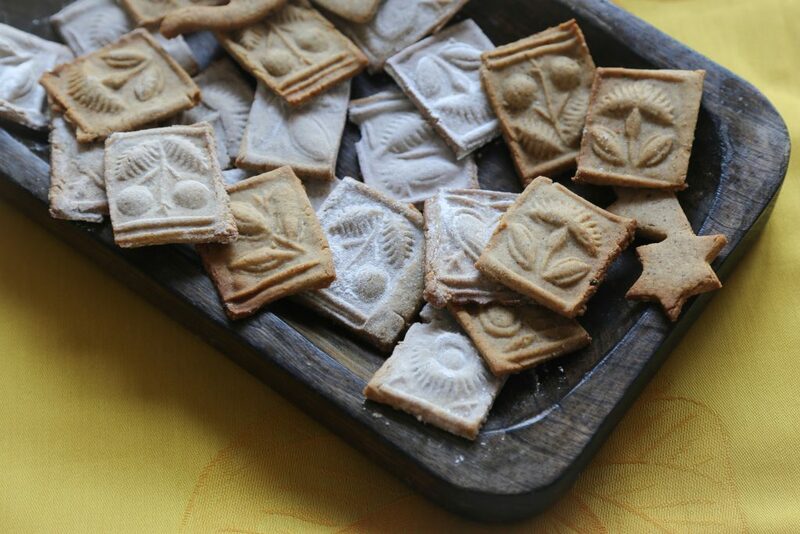 Black Pepper Cookies (Paprenjaci) are traditional Croatian cookies dating back to 16th century during the Renaissance. 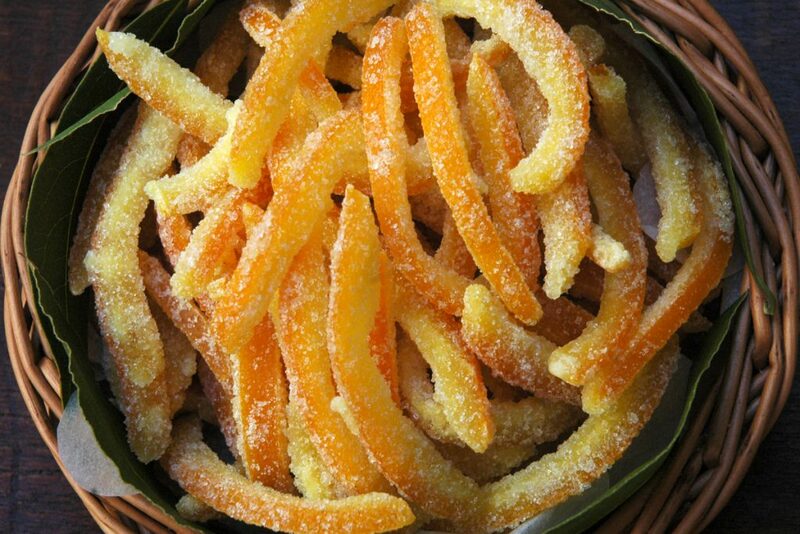 Arancini are traditional Dubrovnik home made sweets made from oranges. A favourite in winter months people like to prepare them for Christmas and New Year for when guests call round to visit. 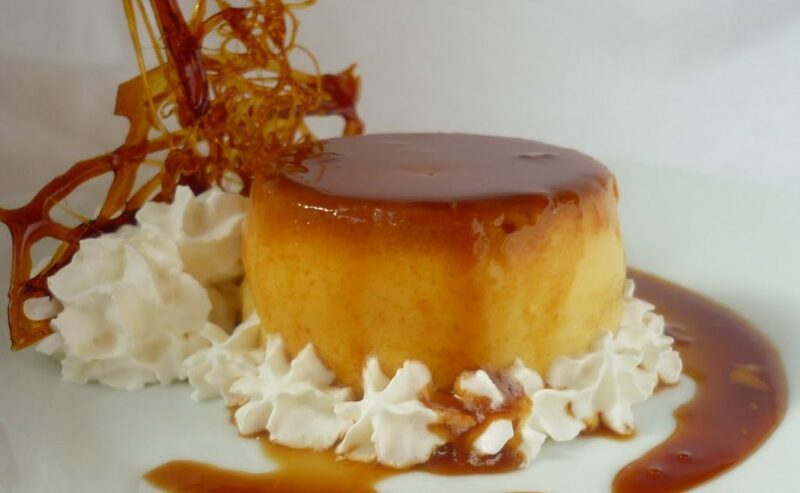 Rožata is a Croatian custard pudding from the Dubrovnik region, similar to flan and crème brûlée. 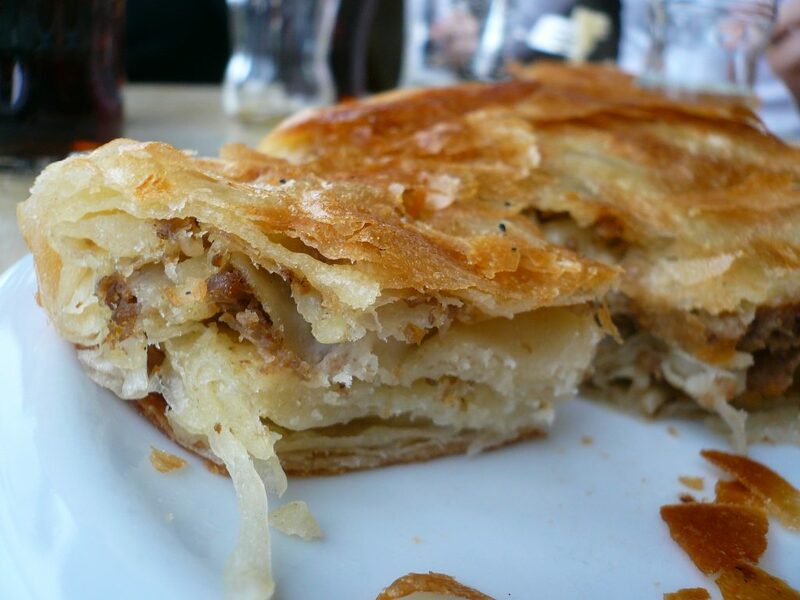 Kroštule is a traditional Croatian pastry . 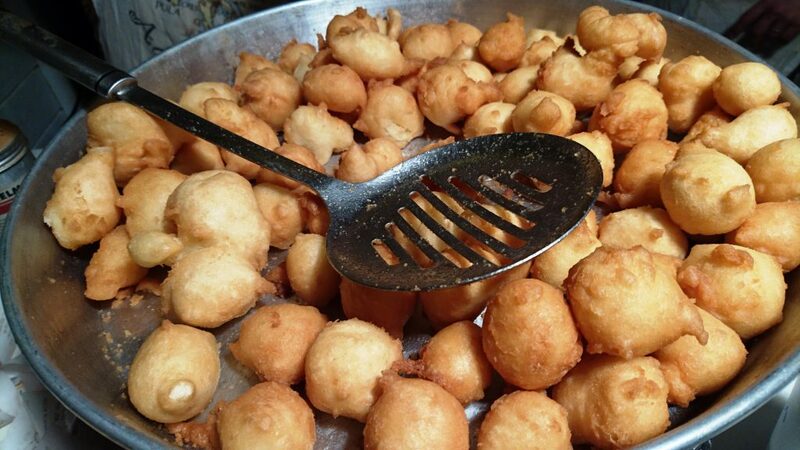 It is made by deep frying dough. 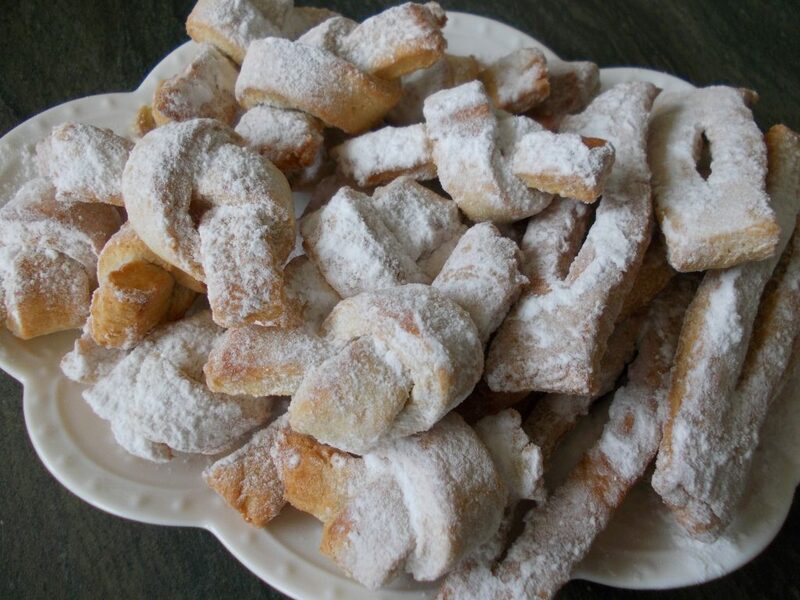 Fritule are a festive Croatian pastry resembling little doughnuts, made particularly for Christmas.